The Small Business Administration may also play a role in how states handle small-business exemptions – in reporting on New Hampshire’s release, the Press Herald noted that two senators have asked the SBA to develop a plan to help businesses comply with the ruling. Today, Governor Chris Sununu joined Senate President Chuck Morse, House Speaker Gene Chandler, Attorney General Gordon MacDonald, Commissioners Taylor Caswell and Lindsey Stepp, and business owners from around the state in announcing New Hampshire’s plan to respond to the US Supreme Court’s decision last week in the case of South Dakota v. Wayfair, Inc.
Pursuant to the authority granted to the Governor and Council in Part 2, Article 50 of the New Hampshire Constitution, Governor Sununu announced that at the next Governor and Council meeting on July 11th, he will ask the Council to approve a proclamation declaring a special legislative session. The proclamation will authorize the legislature to convene in a special session to consider legislation that will protect our businesses from improper attempts by other states to force our businesses to collect sales and use taxes. First, any out of state taxing authority seeking to audit or impose tax collection obligations on a New Hampshire business will be required to notify the New Hampshire Department of Justice. Second, before proceeding, the out of state taxing authority will be required to receive a written determination, from the New Hampshire Department of Justice, that the authority’s statutes provide certain protections and meet strict requirements. Third, these protections and requirements will include a safe harbor for a certain amount of sales, a prohibition against retroactive enforcement, a safe harbor for small businesses, and other strict requirements. In addition, an out of state taxing authority will have to show that its laws will not impose an unconstitutional burden on New Hampshire businesses. 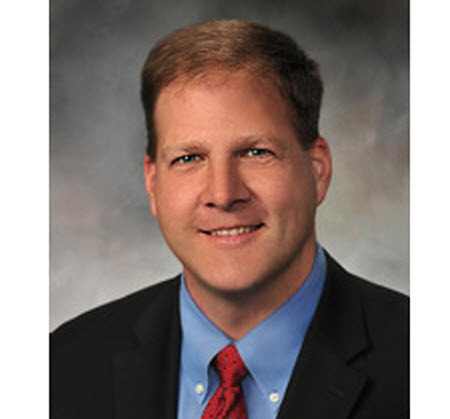 Fourth, the New Hampshire Department of Justice will be empowered to file an expedited suit to block any attempt to impose tax collection obligations undertaken in violation of this new law. This proposal will provide the maximum protection possible under State and Federal law.